If you’re looking for a meatless meal that satisfies, look no further. This isn’t exactly a recipe, but is meant to inspire you for our next veggie-only dish. 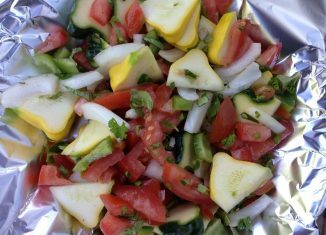 All you do is preheat your oven to 350 F. Then chop up some veggies, herbs and toss them in some olive oil. In this photo, we have pattypans, peppers, onions and tomatoes. Add some fresh herbs like basil, parsley and oregano or whatever you like. Mushrooms, eggplant, garlic and plenty of other veggies also work well. Mix all your ingredients and wrap everything in foil on a baking dish. Bake at 350 F for about 40 minutes or so. 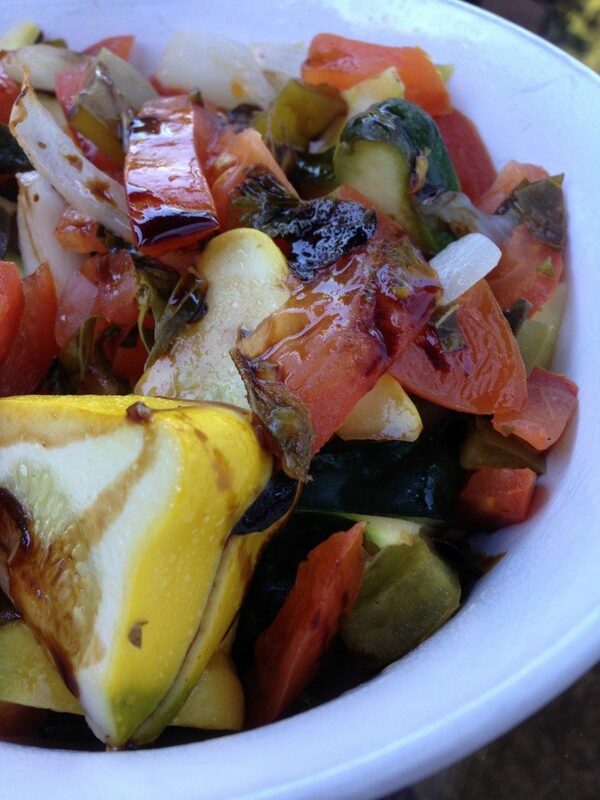 Drizzle with your favorite balsamic reduction and serve over rice, quinoa or just have it by itself.